Kick off your triathlon season in Bermuda next spring. Hit the ground running on this 21-square mile island with daily 90-minute non-stop flights from New York City via multiple carriers. Check this guide for all non-stop flights to make sure your travels are smooth and hassle-free. Also, learn about simple passport, immigration and customs requirements. The official event hotel for the World Triathlon Bermuda. The luxury waterfront resort is located adjacent to the race course. Luxurious accommodations with a private balcony. 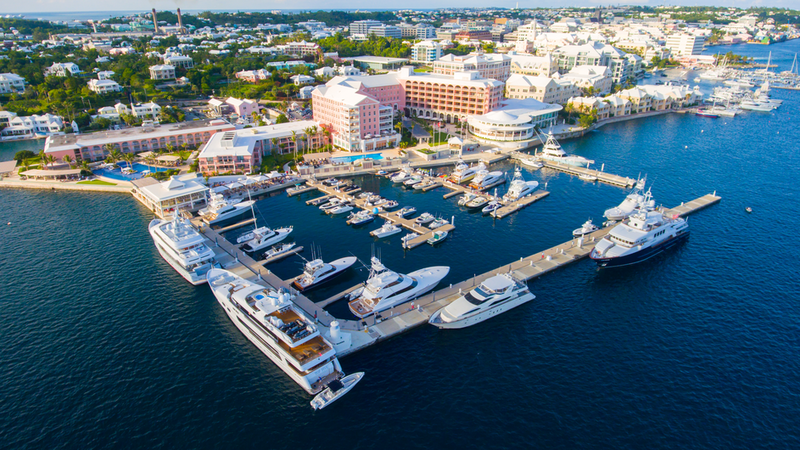 Greenbank is a little gem centrally located in Bermuda offing quick and easy access to the Salt Kettle Ferry, electric car charge points, amazing sunset views with extensive waterfront and deep water swimming from our floating dock. Water View Cottage with king bed or two single beds, private bath, kitchenette, indoor dining area, cable tv, free in room Wi-Fi and a lovley outside patio with table and chairs. Enjoy a 2 night minimum/3 night maximum stay. Bookings must include a Saturday at the boutique Royal Palms property, in close proximity to the race course. Offer applies to Superior Mini Suite and Deluxe Mini Suite categories only. Rate is based on single or double occupancy. Offer is inclusive of a daily continental buffet breakfast, complimentary wifi, and evening wine hour each night. Taxes and gratuities are additional at 21.75%. 20% OFF the ITU Triathlon 2019 Rate at the St George's Club. Two Bedroom Cottages offer the perfect solution for you and your family or friends to make you home base for the upcoming ITU Triathlon with over 1150 feet of living space, fully equipped kitchen and breakfast included in the rate.